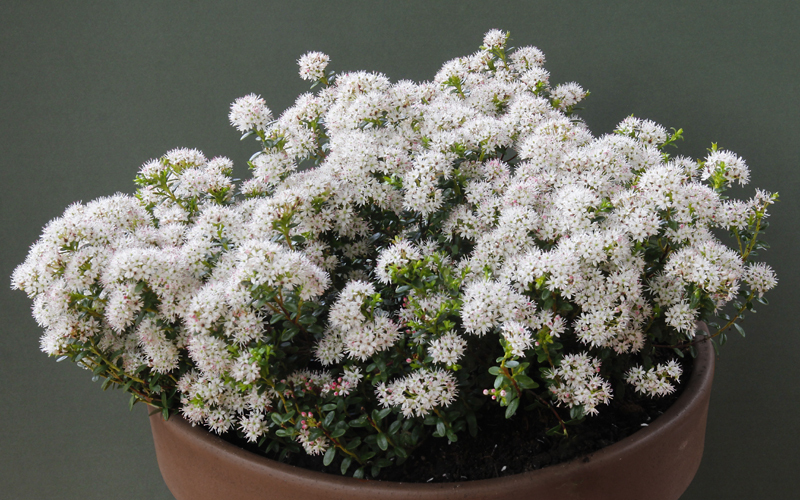 Leiophyllum buxifolium is a dwarf evergreen shrub from eastern USA. 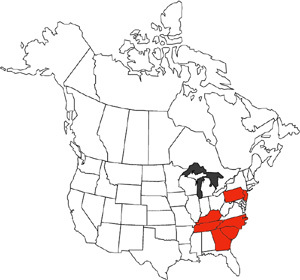 There it grows in the pine barrens of New Jersey to Kentucky and North and South Carolina. In the wild it is very variable both in size (up to 90cm tall) and in habit (either erect or prostate) – to the extent that some botanists have considered it two different species, but it is mostly recognized as two varieties hugeri and prostata. 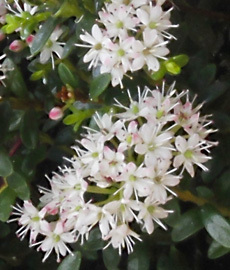 The flowers are small, white and are borne in profusion at the ends of the branches. There are five petals and they are only 6mm long. The effect when well grown is that the whole plant is covered in flowers. Another pleasing feature is that the backs of the petals have a rosy tinge like an apple blossom. I grow it in a raised peat bed where it presents no special difficulties as long as it is never allowed to dry out. In these conditions it can put on rapid growth. The plant Pat and I put on the bench was purchased from Ian Christie when he last visited us at Greenmount in April 2009 so was probably only three or four years old when it was lifted (to be safely put back on the day after the Show). It fact I only confirmed the age when I was putting it back and found the original label – I had imagined it was much older. The branches are very weak and liable to break if even lightly brushed against. I have yet to work out how to propagate it. I have been successful only a few times with such small seed and taking a few accidentally broken branches and trying to root them in the open bed has so far proved unsuccessful. It usually flowers in early May so is too late for our usual Shows in April. I was especially pleased when it won the Carol McCutcheon Award. Pat and I owe Carol a great debt for encouraging us when we first started and teaching us a lot about showing plants to the highest standard. The Farrer Medal was an unforeseen bonus.